There are 24 reviews of Attar . Very sweet and floral and the flower is of course the rose. I am not sure what, but there is something musky and dusty beneath that rose; I get the same feeling from the use of violet leaf in some perfumes. The rose seems to open and amplify more and more and later I get a powdery aspect added to the sweet rose. ATTAR opens with a distantly smoky scent of smouldering oud chips. But there is a syrupy sweetness about it that grows increasingly floral as the rose comes into play, before receding into something more resinous, if a little soapish and musky-powdery. It continues to cruise at this altitude for the better part of its development before touching down to a faintly woodsy drydown. Not the finest Montale has to offer but certainly one of the more affable compositions. 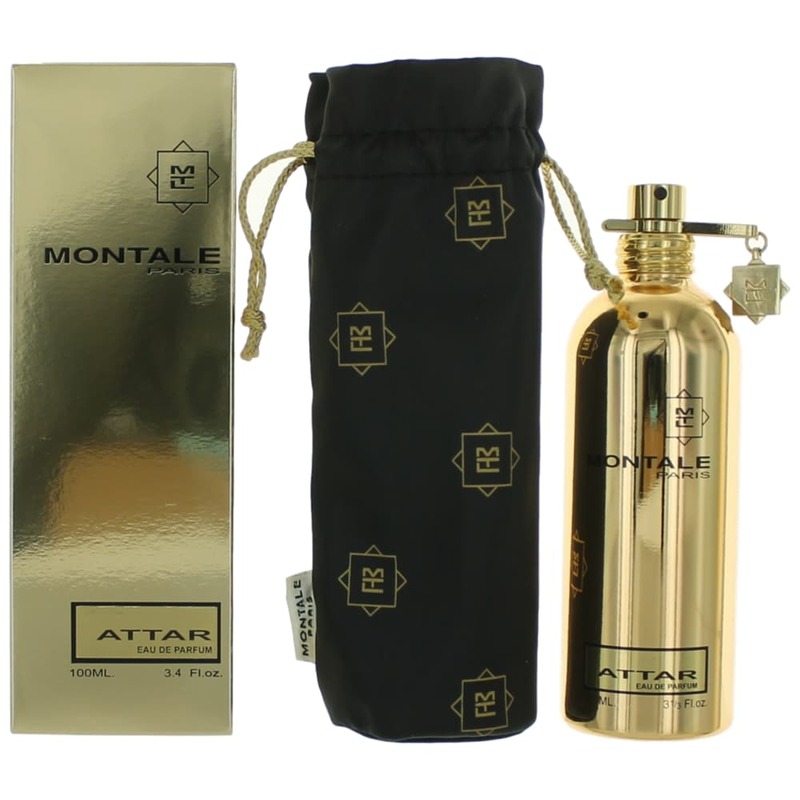 To my very humble nose, Montale's Black Aoud, Royal Aoud, and Attar are all fairly straightforward oudh-rose compositions, each of which goes in its own particular direction. Attar is a far tamer scent than the barbaric Black Aoud, but more individual than the civilized Royal Aoud. If Black Aoud is the bully of the lot and Royal Aoud the dignified uncle, then Attar is the dandy. 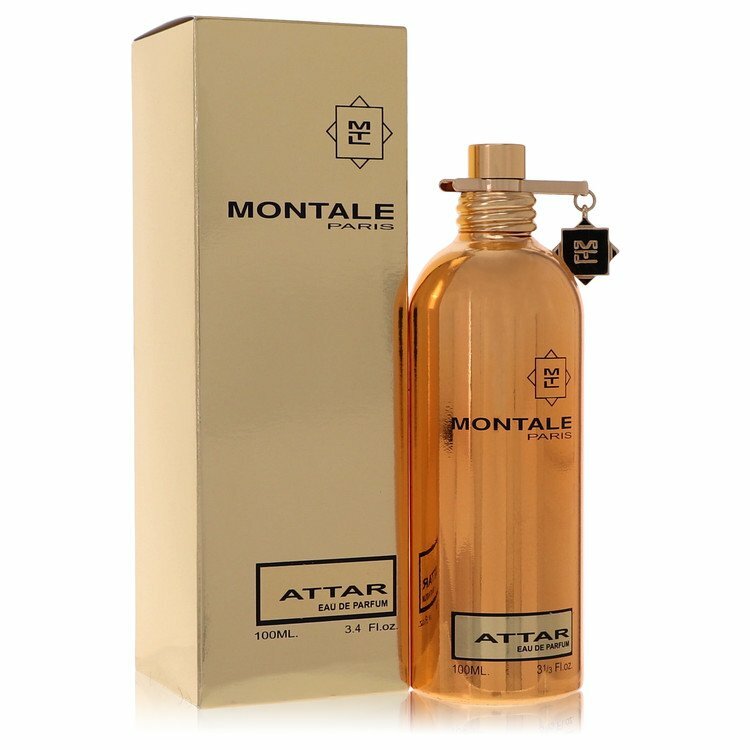 Attar goes on immediately sweeter than the other Montale Aouds I've tried, save the cloying Aoud Ambre. The notes read sandalwood and rose, but it's the rose that grabs me first. This is a sweet, mellow rose, far removed from Black Aoud's spicy, aggressive blossom. Tea rose if you will, as opposed to damask rose. Maybe it's the double distillation. At any rate, this rose note intensifies over the first hour or two, until it fully dominates the fragrance. As for the Mysore sandalwood? I don't get it. Nil. Nada. At least not until well into the drydown, where the rose begins to recede. Midway through, Attar reveals a mysterious note which I can only describe as "fleshy." Juxtaposed with the oudh, this builds an accord that is somewhat reminiscent of a bandaged wound. Not a nasty wound - more like a surgical wound, with stitches and some disinfectant. Further on, things sweeten up a bit, until we reach the soft and rounded woody drydown. On me, this scent lingers less than the other Montale Aoud's - a "meager" 6 to 8 hours. Also a distinctly unisex fragrance, I believe. Lush Arabian perfumery roses DRENCHED in syrup, served up on powdery fragrant wood. Direct and full-on, it really touches the right spots. Somewhat unoriginal and I couldn’t say how close the ingredients are to nature, but when there’s such a combination of power and beauty, who could resist? Disregard the nail varnish air of the opening seconds, that’s just Attar checking itself in the mirror before making its grand entrance. However this va-va-voom quality persists for only about an hour or so, after which Attar gets much lighter, muskier, the woods more prominent and the whole experience a bit more soft focus. Somewhat reminiscent of Aoud Queen Roses (but that’s hardly a surprise with the Montale clan of perfumes where family resemblances are quite pronounced). Its a great combination of sandalwood, roses and a little bit of oud. Very warm and comforting scent. For me it's unisex. Lasting power is weaker than other releases, but it's very good though. There are no member images of Attar yet. Why not be the first?